Raising his hands in two victory symbols, former Pepsi Honduras CEO and journalist turned conservative politician, Salvador Nasralla, took the stage in an all-white suit in a packed Tegucigalpa event in September to unveil himself as the presidential candidate of an eclectic left-right coalition. The unlikely opposition alliance between Nasralla’s anti-corruption platform and Honduras’ only viable left-wing electoral alternative, the Libre party, emerged this year ahead of the 2017 presidential election to challenge President Juan Orlando Hernández’ re-election bid. But some have warned that a political project founded on shared opposition rather than common political ground will ultimately be weak in its potential to disrupt the status quo. Such conversations also lay bare the unresolved debate over the way to contest elite power in the Central American country eight years after the 2009 U.S.-backed coup. Weeks ahead of the vote, the opposition alliance has vocally exposed an alleged sophisticated government fraud plot to steal the election in Hernández favor. But the election was already cloaked in controversy before the fraud claims surfaced. President Hernández, elected with the National Party in 2013, is the first sitting or former president in the democratic history of the country to run for a second term in office. The move, enabled by a 2015 Supreme Court ruling and slammed by opponents as illegal, epitomizes right-wing hypocrisy after elites justified the coup on bogus allegations that then-President Manuel Zelaya aspired to seek re-election. Faced with the possibility of another four years of brutal neoliberalism and militarization in the name of economic recovery and security, this broad left-right opposition alliance formed to challenge Hernández’ grip on power. 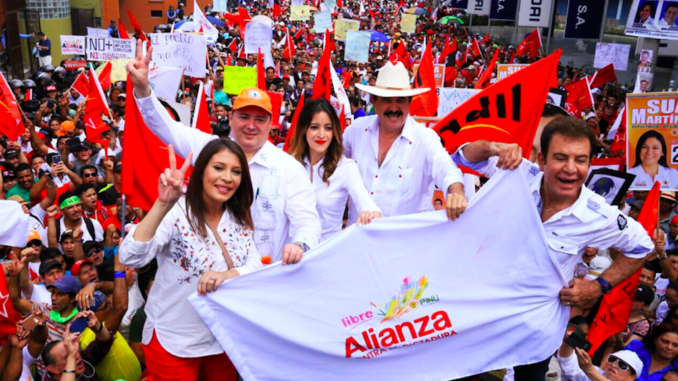 Under the banner “Opposition alliance against the dictatorship,” the left-wing Libre party, headed by ousted President Zelaya and his wife Xiomara Castro, joined forces with conservative TV presenter-turned-anti-corruption crusader Salvador Nasralla and the smaller Innovation Party and United Social Democracy alliance (PINU-SD). 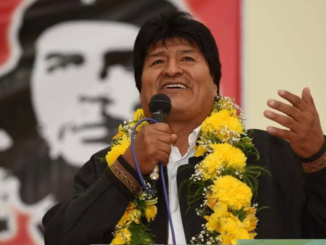 Nasralla, who founded the now broken up Anti-Corruption Party (PAC) in 2011, emerged as the alliance’s candidate, while Castro, Hernández’ closest contender in the 2013 race, dropped off the presidential ticket. If Nasralla is elected, Castro will serve as one of three presidential designates. Honduran writer, filmmaker, and non-practicing lawyer Oscar Estrada pointed out that neither Castro nor Nasralla’s parties had the political clout to take on Hernández’ National Party single handedly. “This alliance was formed in part due to the deterioration of these two parties, both PAC and Libre, after the previous electoral process,” Estrada told Upside Down World in a phone interview. Libre initially rode a wave of post-coup resistance fervor when it launched in 2011, but Estrada points out that it failed to consolidate its base in the four years since the last election, ultimatley weakening its electoral position. Meanwhile, Nasralla’s PAC proved unable to “shape a political project beyond anti-corruption” and ultimately dissolved, Estrada explained. Although there is a blackout on new polling data for a month before the elections, the latest polls showed a strong lead for Hernández with a margin of about 15 percent or more over Nasralla. Libre and PAC both debuted in the 2013 election. Libre’s candidate, former First Lady Castro, catapulted into a frontrunner position and went head-to-head with Hernández, who was previously president of Congress. Ahead of the vote, the two presidential favorites often polled in a dead heat. On election day, Hernández raked in 36.9 percent of the vote over Castro’s 28.8 percent amid widespread cries of electoral fraud, including allegations against the country’s Supreme Electoral Tribunal. The Liberal Party’s Mauricio Villeda and PAC’s Nasralla, who entered the 2013 race as a conservative political outsider seen as another alternative to the bipartisan consensus and a force that robbed anti-establishment votes from Libre, trailed behind with 20.3 and 13.4 percent, respectively. But unlike Pastor, Estrada is skeptical that the alliance of parties credited with disrupting the bipartisan consensus in Honduras will manage to capture the votes needed to sweep the ruling elite out of power in Tegucigalpa, much less champion radical policies needed to address Honduran social, political, and economic woes. Traditionally part of the country’s ruling elite, the Liberal Party has traded power with the National Party for over a century, with the exception of interruptions by periods of military rule. With support from the Congress, Supreme Court, and military, factions of the party turned on President Manuel Zelaya to carry out the 2009 coup after the wealthy Liberal rancher pursued modest progressive reforms. Upon returning to the country after exile, Zelaya and Castro became figureheads of the nascent Libre party. The party was born of the popular grassroots resistance that erupted into the streets in the wake of the military coup and the ensuing repression in an unprecedented expression of social movement unity. Although the Liberal Party has recently been labeled as an opposition force challenging the governing bloc in Congress, Honduran sociologist Eugenio Sosa argued in an interview with Upside Down World that the characterization is misleading given its shared oligarchic foundations of both the Liberal and National Parties. But even without the Liberal Party in the mix, Nasralla and Libre are odd allies, primarily finding common ground over their opposition to Hernández’ rule, but lacking a shared political program or any kind of ideological cohesiveness. Libre was founded on social movement demands for a National Constituent Assembly to rewrite the 1982 Constitution and “refound” the country. Nasralla’s anti-establishment but conservative PAC, on the other hand, has been largely hollow of concrete political proposals under ambiguous promises to fight corruption. Despite being gravely insufficient to tackle Honduras’ systemic issues of inequality and impunity, the anti-corruption discourse is popular. In 2015, activists launched a new Indignados movement after a massive corruption scandal came to light implicating the National Party in the embezzlement of millions of dollars from public coffers. The movement took to the streets in weekly torch-lit marches against corruption for months, pressing for the establishment of an independent anti-impunity body modelled on Guatemala’s U.N.-backed CICIG. Both Libre and PAC backed the marches. The movement failed to garner the same broad-based and diverse support that fueled the post-coup resistance in solidarity with radical grassroots struggles. Instead, the anti-corruption movement resonating more sectors of the urban middle class, mobilized over concern with the rule of law. Meanwhile, in neighboring Guatemala, a groundswell of outrage over massive government corruption scandals brought to light by the CICIG and a bold attorney general simultaneously overflowed into the streets. But the outcome in Guatemala City was drastically different than in Tegucigalpa. Guatemalan protesters ultimately forced both Vice President Roxana Baldetti and later President Otto Pérez Molina to resign. Hondurans saw the creation of a toothless Organization of American States and government-backed anti-corruption initiative called the Support Mission Against Corruption and Impunity in Honduras (MACCIH). 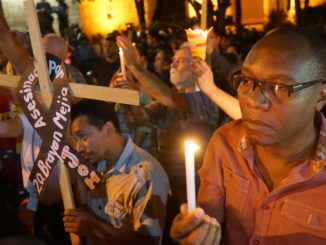 Protesters in Honduras also had called for Hernández’ resignation. But the movement as a whole fell short of articulating a structural critique of how impunity and corruption are symptoms of a larger system of inequality sustained by the country’s oligarchy, Washington, and transnational capital. Despite the diverging politics of Libre’s social movement-based platform and Nasralla’s anti-corruption campaign, the alliance has put plans to convene a National Constituent Assembly at the top of the agenda. In Honduras, the National Constituent Assembly is often referred to simply as a constituyente. “It was always a sine qua non in the negotiation of the alliance,” Pastor said of the issue of the Constituent Assembly from Libre’s perspective. He noted that both Nasralla and the PINU-SD coalition, which initially rejected the proposal, agreed to support the plan under the condition that the government first consults the people through a plebiscite. But Estrada was less optimistic, saying he only sees the Constituent Assembly manifesting “rhetorically.” With Nasralla at the helm, the opposition alliance has adopted a conservative identity despite its left-wing discourse, while the Libre party has failed to cultivate the popular grassroots support to back its project, he argued. Estrada said that the opposition’s early calls of fraud help to weaken a potential Hernández government ever before it comes to power. But even though the conditions for fraud exist, he claimed that efforts to combat it have not gone far enough. 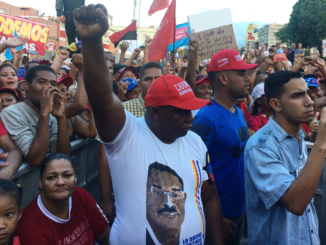 If this left-right alliance fails to unseat the despotic Hernández, questions remain if this political gamble by Libre’s leadership will end up alienating its social movement base and whether a national left-wing electoral political project is even viable in a country whose weak democracy has continued to regress since the U.S.-backed coup eight years ago.